Also: Will people start playing Pokémon Go again? 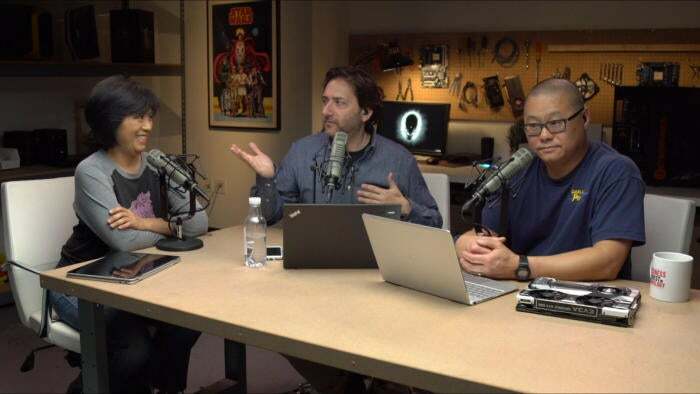 It’s a show-and-tell episode as Melissa Riofrio and Gordon Mah Ung join host Jon Phillips to show off some cool hardware and discuss tech topics of the day. Melissa shows us Samsung’s Chromebook Pro, which can run Android apps out of the box! Gordon shows off EVGA’s latest GeForce GTX 1080 card with an over-the-top iCX cooler and no fewer than nine thermal sensors. The crew then discusses whether Moore’s Law is truly being repealed as Intel confirms it will introduce an unprecedented fourth CPU using its 14nm process. And in this week’s Right or Wrong: Will new Pokémon Go characters actually get people to wander parks like zombies again? Watch the show as it unfolded live on YouTube.